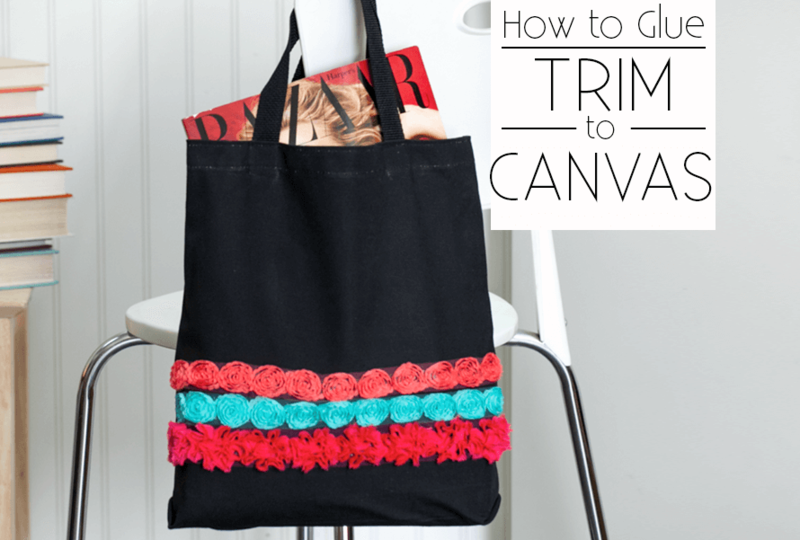 Take that plain shopping tote from drab to fab with the help of Aleene's Fabric Fusion tape and some pretty trims you can pick up at the fabric store! After all, you deserve all the pretty things! 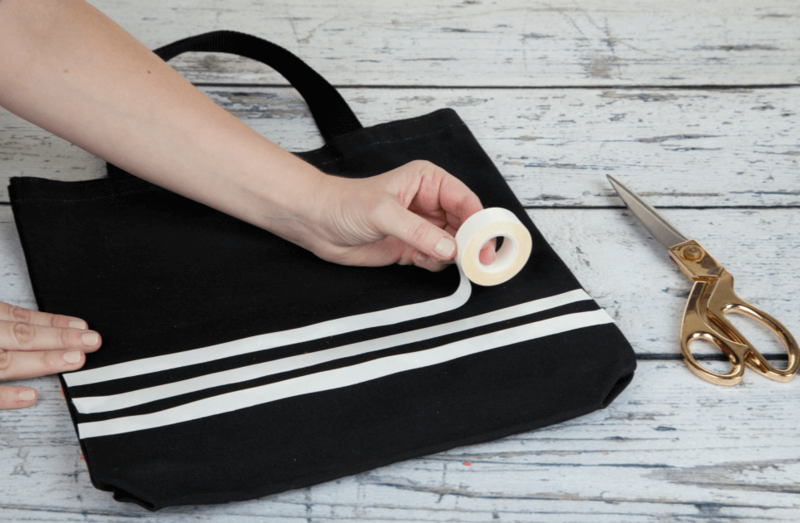 Measure the width of your tote bag and cut three piece of the tape to fit across. 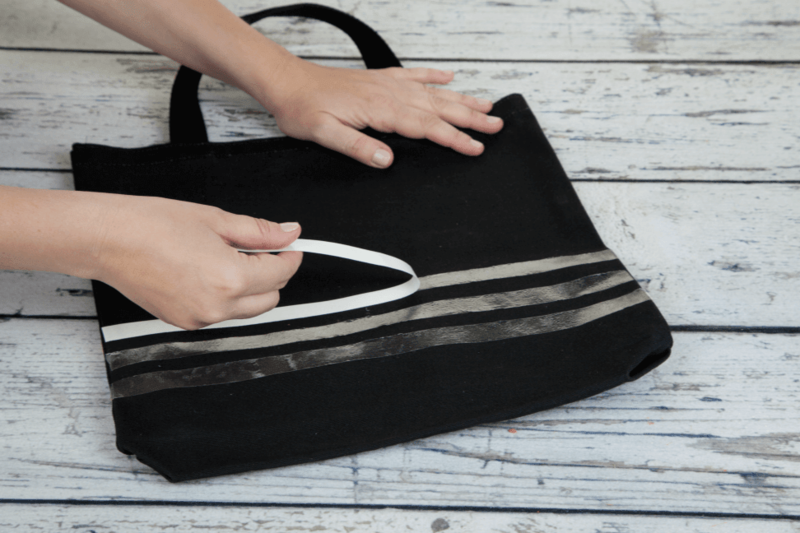 We chose to make our design go horizontally across the bag, but you can position and place the tape wherever you want. Remove the backing to the tape. The adhesive is super sticky and now ready for the trim! Cut the trim also the width of the bag and place on top of the tape. Firmly press down on the trim to create a solid hold with the tape! Wasn't that easy!?! We created this graphic for you to pin this idea on Pinterest for later! Don't forget, this makes a great DIY gift for yourself, but why not make one for a friend too! As you can see, it can be made in five minutes.